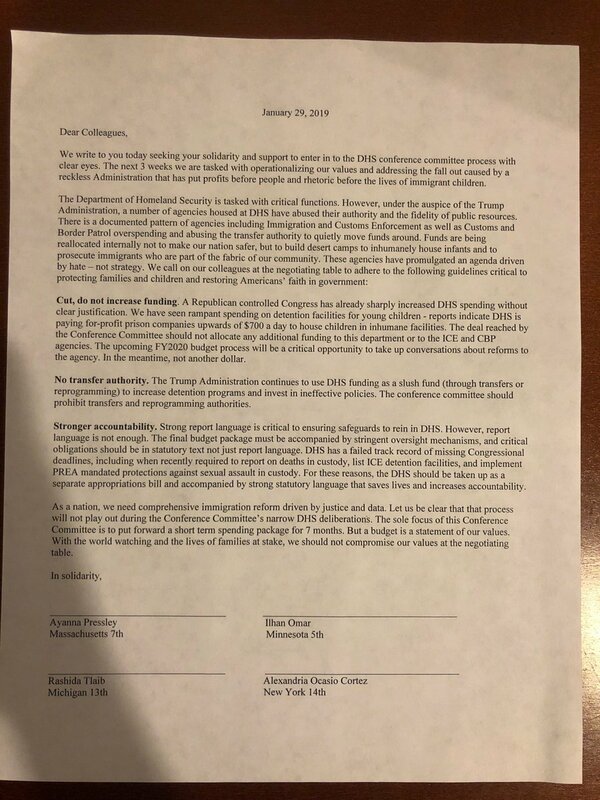 Fox reported that far left freshman Democrats sent a “Dear Colleague” letter to the Congress Conference Committee on Border Security. A letter, reportedly written by Ocasio-Cortez, Tlaib, Omar, and Pressley, calling the DHS an “agency of hate” and called for its funding to be cut was obtained by The Daily Beast. CUT. Think about how far afield that statement is – with “migrant caravans” continually coming for our borders, they think cutting their funds is the answer. Democrats – liberals, are normally off plumb, but these lefties are actually off the planet. And some idiots out there elected them. It’s mind boggling. They accused the DHS of not using the funds for security. Those kind of accusations will be met with some pushback, we can place bets on it. The motive of these leftists? It certainly isn’t to protect the United States or the citizens they are supposed to represent. They have proposed the budget-breaking “Medicare for all” proposal, opted to abolish ICE, want to require “green energy” in every household in America. The danger here is that if you hear a wheel squeak loud enough, long enough, you not only get used to the noise, the wheel eventually causes catastrophic damage.